Thanks so much for the info Old School! That's good news and bad news I think. I pulled my MVR and I have a ticket for 49/30 and failure to show proof of insurance from a little over two years ago. Is this a deal breaker? 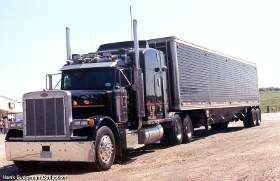 Do I need to wait a year before applying to paid cdl training programs? Thanks Jamie for the resources! I'll definitely check them out! Thanks Old School for the advice! My two concerns from what you have listed are the physical and my driving record. I've been diagnosed Bipolar. Will that hinder me from getting a job? How clean must your driving record be? I know mine isn't the best but I don't think it's too bad either. I saw suggestions that I should pull my MRV and give it a look before I pursue this any further. I'm a 29 year old male considering this industry. I've spent a lot of my life behind the wheel of my car and lived out of my car way more times than I'd like to admit. I love it. I'd like to do these things as a career. How can I do this? What things could put me out of the running before I even get started?